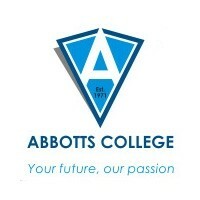 ABBOTTS COLLEGE, CENTURY GATE, continues to enhance the unsurpassed reputation that the original College has established since it was founded in 1971. The College caters for the needs of students in Grade 10, 11 and 12. WELL-EQUIPPED classrooms are grouped around a central atrium which is the focal point of the campus providing natural light to the student recreation area and tuck shop. We are also very proud of our exciting Art and Design space. The College also boasts a MODERN COMPUTER ROOM, SCIENCE LAB and FULLY EQUIPPED KITCHEN AND RESTAURANT. Also offered are appropriate extra-mural activities that ensure students are well prepared, not only for examinations, but also for the work place. Sport is offered in response to the interests of students. Indoor cricket, soccer, sailing and surfing are just some of the activities that are enjoyed.